Warning: An extra dose of humour causes no harm but be aware of it. Note: Lot of hindi terms have been used in this article exclusively with the intention of poking some humour. Just as wild as the summer air, is my musing over the gender wars. Just as hot as the above pictures, are what seem more like a cacophonous ohh ohh- hey hey of the age old gender Tu- Tu Main Main. To be sober, John Gray has put it practically as Men from Mars and Women from Venus. Now what difference does that make if I said the "Johny Walkers" versus the K's? While the men are happy with a JW on their table, the women love to plonk on the couch watching the world famous saas-bahu serials. Tighten your seat belts for the take off and do so during the safe landing of the entire reading. This ain't Air India, & please trust me, this will take you to the right destination. Promise you that. For ages the men have been traditionally vanishing from wedding and Birthday parties in the odd hours for a "quick drink". 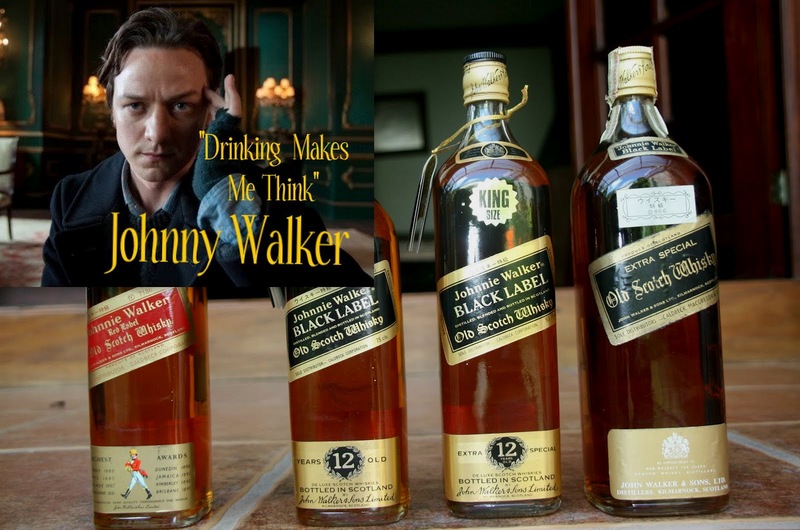 Keep walking "Johnny Walker [JW for you]. A woman could not blame the JW anymore. Jai Ho Ekta Kapoor. You did it. She is the soul who showed glowing path to the women in providing equal opportunity in the society with her Kerials. The K-Serials. Waah ri duniya. What a jodi. The JW and the K.
Tulsi alias Smrithi Irani the heroine of K-Serials made a life time achievement by her enchanting spell over the Indian Bahu's who made every effort to keep in pace with the JW's. She has grown and grown so much to the extent (has anyone noticed her recent figure) that it seems like she has at once swallowed Ekta Kapoor and her crew. Aah. That is not my business, yes. But the benefit of doubt was my concern for Ekta Kapoor. She is so much wanted. ( a tear in the left eye). The Bahus really lacked leadership abilities and not one did dare to publish a book on " 10 effective leadership qualities for Bahu's". From how you deliver a tight slap to the colourful heavy garments that you wear and ohh much much more. And please behold. 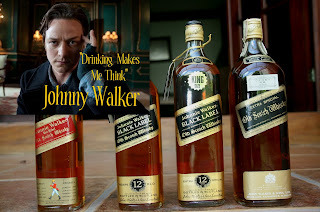 Big applaud, now comes the proclamation:- JW says "Drinking makes me think" and every K has the right to say "Ekta Kapoor makes me act". One nice "tight slap" that has made an historical impact from the capital of country to the southern part in almost every alternative serial of the mini screen. Now that we did care to stir the turbulent thoughts in the mind. Settling down grazing the holy to holy shi*. The age old cross gender war has slammed so much of material for study. By default the women ought to be crowned for their technical abilities on pinpointing minutest details on how their counterpart are caught talking over their "neele daanth" almost all the time. The equally able men who may not recognize the new salwar kurtha of their better half, confusing with the attires of Rita or Mina, still manage to catch them with the cell phones in the washroom or while frying in the kitchen. Excuse me, I want to be diplomatic when I say that the JW's who had every opportunity to tease out the women in trousers for trying their hands on jobs that were supposed to be labelled "only for men", have a range of regular beauty care products out in the market. Easy maintenance of the handsome crowning glory. Equally strong. Men, the noble husbands who were once the"head of the family" have learnt to support their better half today by making their own tea, yet leave no clue to the mystery as to how they can not trust the budget estimation or route map plans made by their wives, her driving skills and so on. An extreme challenge to the K- woman. One waits to blow the devilish trumpet over the inability of the other over accomplishing something. The wives fully utilizing their K strengths can make the most squeamish face at their "eji sunthe ho Ji" on how a big white towel 1 foot long and 1/2 foot wide is not visible to him in his own wardrobe until the "munne kee maa" finds it for him. Who scores here, team JW or the team K? The magical cast of the JW evolved over a longer phase than the K- factor for saas-bahu leadership qualities. Yet the match is perfect over the tight impact of K maatha. That was scintillating entertainment! And while the K-Team can come around to clink a few JW's and still walk straight, JW-Team may head straight to the mortuary, were they to try a shot of the Sas-Bahu stuff from the K stable! And I don't like both! Great fun. Like you said its a perfect jodi. Haha what fun! The concept itself is so intriguing. I never knew women started watching the Kerials just to get back at men. Good piece of humor. all ideas are fictitious. The concern was that both of them get on straight into the head!! h well yes--i made it as weird as possible too. huh. as long as it did sound hilarious. LOL...God, I laughed so much! K-matha---unique :))But, both are awful...questing of winning does not arise according to me...HAHAHA.. I am glad you laughed. You certified my writing and made my day too. To be frank I seriously agree with you there is no question of either of them winning actually!. Lovely article..kerials wow ! what an invention and yes JW rocks :) on the rocks ! hahaha....lol ! good one ! so it did make you laugh. Oh my god !! :D .. I really wish Ekta Kapoor reads this ;) :D..